1-4: © Visa Rauste, 28-05-06. Tampere, Finland. 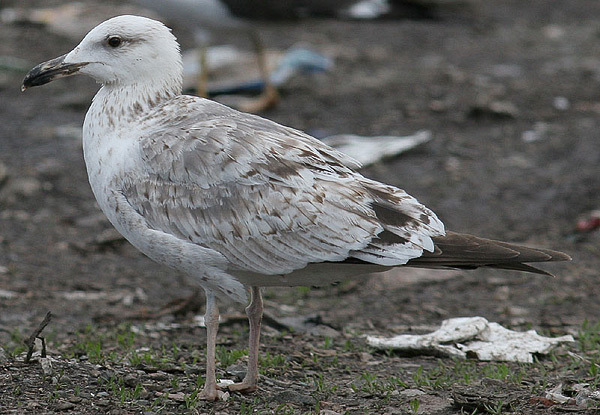 A pale bird in the extreme, lacking any dark markings in the majority of the feathers but a dark shaft; only the rearmost scapulars and tertials show dark centres. 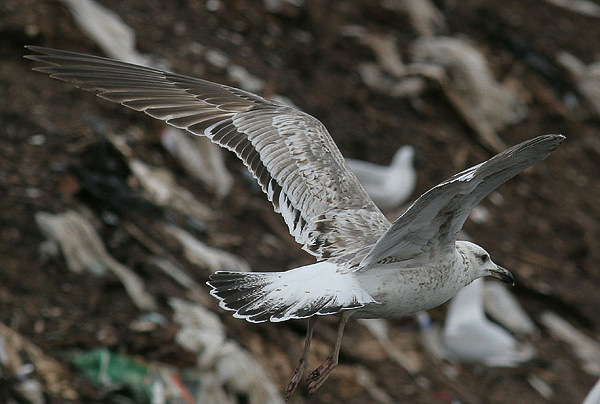 The moult stage is similar to the previous bird. 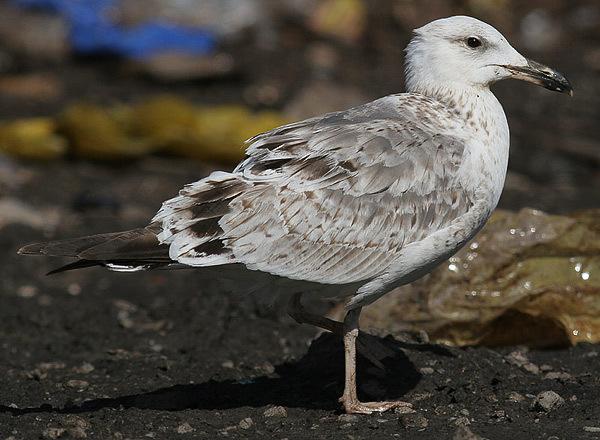 This is another bird that is unlikely to be confused with any western large gull taxon.